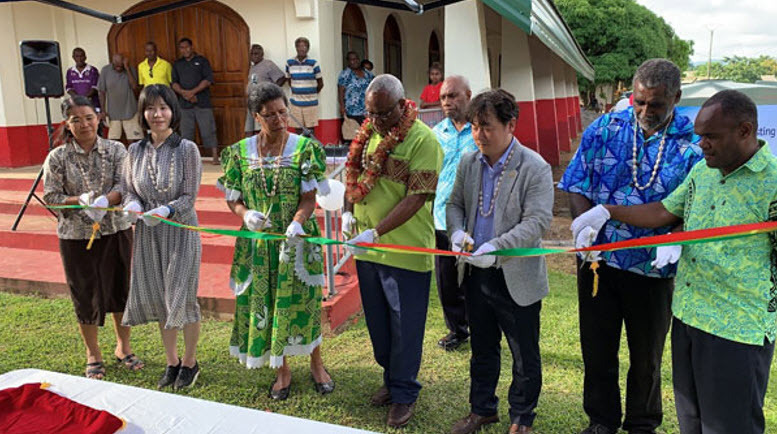 On March 20, Center for Rainwater Research of the SNU College of Engineering held a ceremony to celebrate the completion of the rainwater harvesting facility in Vanuatu, a South Pacific island country suffering from water shortage. The announcement of this ceremony was made on March 22 to celebrate World Water Day, an annual UN observance day that highlights the importance of access to safe water for human populations. This project was a collaborative effort between SNU, the charity Summit 237 and the Vanuatu government. The facility, which turns rainwater into drinking water, features rainwater harvesting technology that involves collection of water from rooftops, conveyance systems, and UV purification. “In accordance with this year’s World Water Day theme, ‘Leaving No One Behind,’ this project aims to provide hope for everyone in need of safe drinking water. We plan to share our rainwater-harvesting technology with other South Pacific island countries and beyond,” said Professor Han Mooyong (Department of Civil and Environmental Engineering), who directed this project as the head of Center for Rainwater Research of the SNU College of Engineering.